We have 150+ quality engineers with operations covering China, India, Vietnam, Malaysia, Bangladesh, Indonesia. 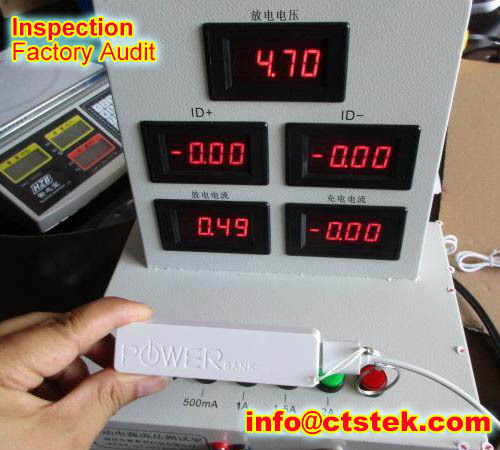 Our inspector can be on any factory within 48hrs, and send you reports with detailed pictures with 24hrs after the inspection. A Pre-Shipment Inspection is a systematic inspection of units selected at random from all batches of your order, conducted when your production is completed at a certain percentage. This is your final opportunity to take corrective action before your production is finished and packed; making it an effective tool to safeguard your product against costly import risks. 100% products finished, and at least 70% products packed inside the master cartons. Final product appearance, conformity & functionality prior to shipment . We will statistically and randomly pick some products by using AQL sampling procedure, and check for: functionality, performance, durability, overall appearance, and dimensions etc. When 20%-50% products finished and packed, ideally inside the master cartons. It allows you to find problems earlier, and take quick corrective action during production stages. We will statistically and randomly pick some products by using AQL sampling procedure, and check for: functionality, performance, durability, overall appearance, and dimensions etc. Initial Production Inspection (IPI) Inspection of key raw materials/components prior to commencement of production. Or some finished products are starting to coming out. When the products are loading to the containers, we will supervise the the loading process, make sure the right products, right quantity, right quality are loaded. Recording of container suitability, loading systems and container sealing. It will help you avoid short delivery, scam, and future complaints when you deliver the shipment directly to your clents. 100% finished products full check, or periodically exam the products during the production to make sure as many products as possible are acceptable and defect free. Report to you daily with pictures, just like you are at the factory yourself. Mostly for important high-end products, time sensitive, important customers, high value orders. Independent and impartially taking and sealing of inline production samples, pick randomly from the production, for client verification. We can also do some inspections.